Hithfaereth is Sindarin for Myst Spirit. This gown is mostly inspired by Elfish style garments. I wanted to make a gown that was flowy and had wide sleeves. Also I wanted to use the beautiful leather I bought at the Utrecht fabric market years ago. The back runs quite low, again making sure that the side and the strap cover any overspill. 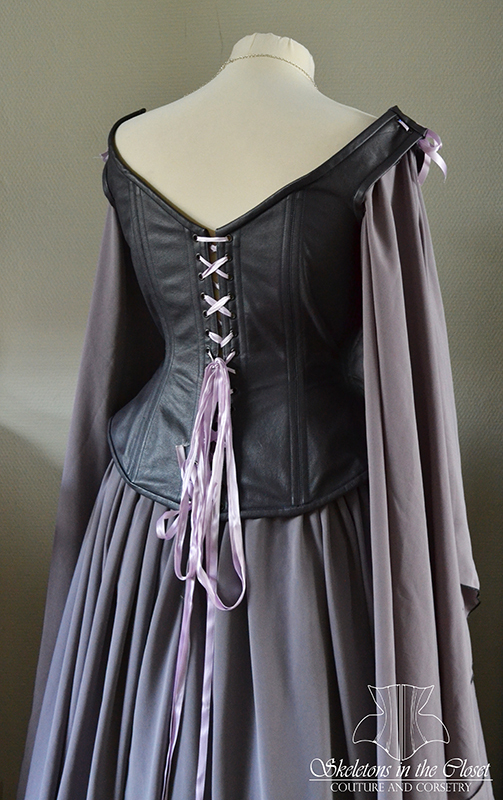 The skirt and detachable sleeves are made from a lovely flowy fabric, in an amazing colour that works so well with this corset. It creates a soft and flowing gown that has a light feel to it. 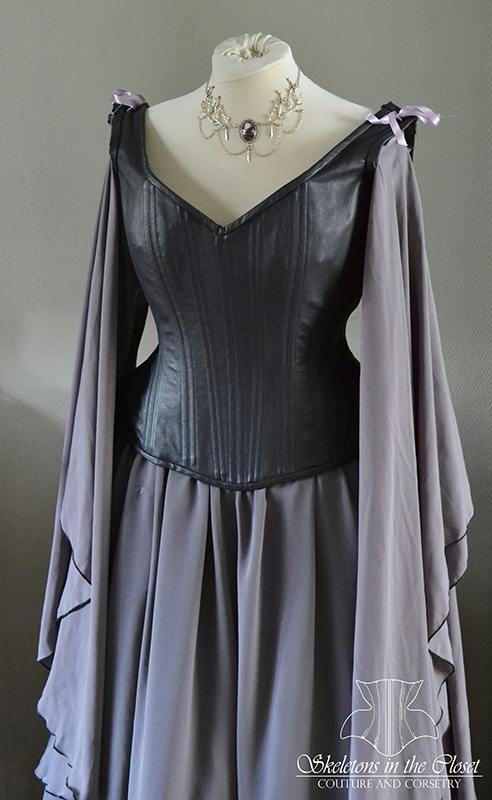 Combined with the tough leather corset it makes a gown fit for a highborn elf. Someday I would love to do a little shoot in this outfit. For now here are some pictures of the corset on a dummy. If you would like to order your own custom creation, please contact me. You can use the contact form under about, or send me an email.